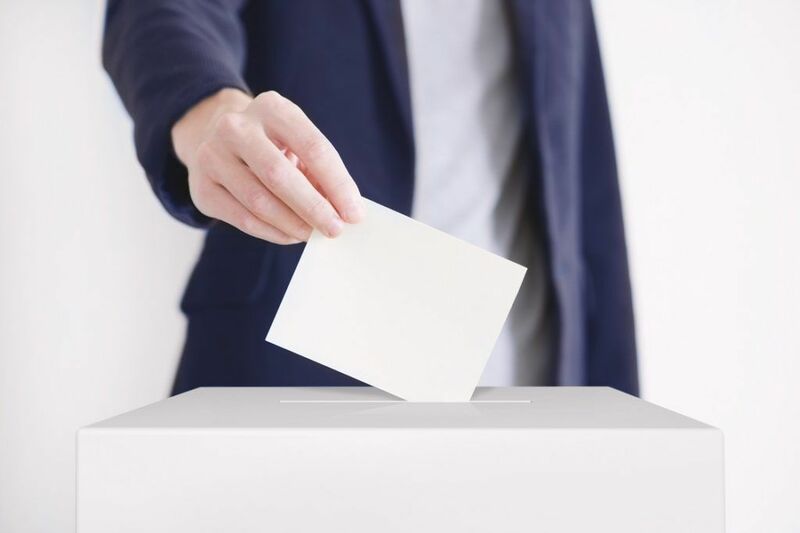 Straight voting, commonly known as statutory voting, is a corporate voting system used to elect directorsBoard of DirectorsA board of directors is essentially a panel of people who are elected to represent shareholders. Every public company is legally required to install a board of directors; nonprofit organizations and many private companies – while not required to – also establish a board of directors. or to vote on important matters (i.e., voting on auditors, mergers and acquisitions opportunities, etc.). In the context of electing a director, each share is entitled to one vote per director seat. For example, if a shareholder owned 100 shares and three directors were up for election, the shareholder can cast up to 100 votes per director for a total of 300 votes. Note that each director can only be voted up to 100 – the shareholder cannot allocate more than the number of shares owned to each board member. John is a shareholder in ABC Company. At the company’s annual general meeting (AGM), five directors are up for election. John owns 1,000 shares in ABC Company and each share entitles John to one vote. Under straight voting, John can vote 1,000 times for each of the five directors for a total of 5,000 votes. Under straight voting and since John only owns 1,000 shares, the maximum he can vote for each director is 1,000. There is an inherent problem with straight voting: minority shareholder representation. That is, a majority shareholder with 100 shares will have a greater influence over who is elected than a minority shareholder with 50 shares, as the majority shareholder is able to vote up to 100 times per nominee, while the minority shareholder is only able to vote up to 50 times per nominee. Due to the votes being allocated proportionally to each director up for election, the majority shareholder will always be able to outvote a minority shareholder. Therefore, under straight voting, minority shareholders have a lower chance of influencing who gets elected to the board. To address the problem, cumulative voting can be used as an alternative to straight voting. The key difference between straight voting and cumulative voting lies in the fact that in cumulative voting, the shareholder can cast the total number of his votes for any candidate or in whatever proportion he or she desires. Therefore, cumulative voting as an alternative to straight voting allows more minority shareholder representation. With that being said, cumulative voting is seldom used by the majority of S&P 500 companies. John is a shareholder in ABC Company. At the AGM, five directors are up for election. John owns 1,000 shares in ABC Company, and each share entitles John to one vote. Under cumulative voting, John can vote the total of 5,000 votes for any director he likes. Recall that in the straight voting example, the scenario above was not possible because straight voting only allowed up to 1,000 votes per director. With cumulative voting, John can vote the total of his votes (5,000) whichever he likes. Minority InterestMinority InterestMinority interest refers to having a stake in a company that is less than 50% of the total shares in terms of voting rights. Essentially, minority investors don’t exercise control over a company by way of votes, leaving them with little influence in the overall decision-making process. Preferred SharesPreferred SharesPreferred shares (preferred stock, preference shares) are the class of stock ownership in a corporation that has a priority claim on the company’s assets over common stock shares. The shares are more senior than common stock but are more junior relative to debt, such as bonds.